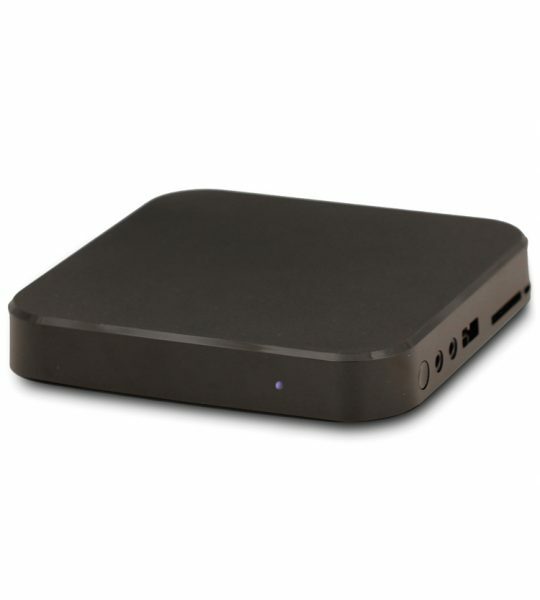 The CURIOPlayer X5 is a compact media player that stores and deploys music and messaging in your business location. With only a 5” x 5” footprint and weighing less than a pound, the CURIOPlayer X5 is a small package that delivers big performance. This versatile hardware enables uninterrupted content playback, quick installation, and fast content updates via network connection, making it the perfect pick for your overhead music and more. CURIOPlayer is store-and-forward hardware, meaning that music and messaging is downloaded and stored locally on the player. Content is then played directly from the device rather than streaming via your location’s network. The result? Your music never skips a beat. Manage your playlist and stations via a browser-based web app that can be accessed from most Internet connected devices, such as computers, tablets, or smartphones. The artist name and song title featured at the top of the screen indicates what's currently playing. Increase or decrease the volume based on the level of ambient noise in your space. Interested in learning more about CURIOPlayer? Complete the form below and one of our content delivery experts will get back to you shortly.